The objective was to engineer a more cost effective rural small cell solution that would support applications such as Telematics & IOT. The solution benefits from a hinged levered pole solution for ease of installation and maintenance. One of the applications uses GSM/Mesh repeater with a bespoke antenna and bracket design keeping the installation simple. This GSM/Mesh repeater radio technology negates the need for immediate backhaul and accelerates the solution into live operation. A solar powered solution means that the active radio equipment is contained in the bespoke solar housing that sits at the top of the pole. The housing benefits from a lower wind resistant design and slides centrally down the levered pole for ease of install, no external power is required thus no electrical certification is necessary. Installation is quick and simple with no external cables other than the antenna RF cables at the top of the pole making the speed to deploy cost effective keeping the customer ahead of the competition. I can see some power issues with 3G/4G small cells, as they are more power hungry. Also, there may be issue in countries that has small winter days and very little sunshine. Nevertheless, its interesting concept. 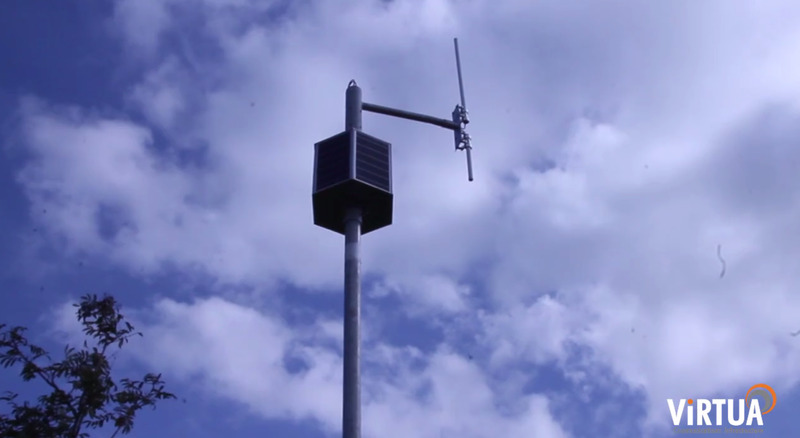 Rural Coverage Small Cells Solution - Installation from Virtua on Vimeo. Recently added a video/presentation looking at 2 different definitions of Heterogeneous Networks (HetNets). Presentation with video embedded below. If you like to jump to video directly, here is the link. Came across this BBC program from 2016, 'The Big Fix by Simon Reeve'. There is interesting bit in it about connecting a rural village in Wales by mesh (mash) potato. You can find more about the device here and here. The program is embedded below. If you are in a hurry, skip to 10 minutes and then skip to 34:50 min mark. A write-up of this project is also available here. 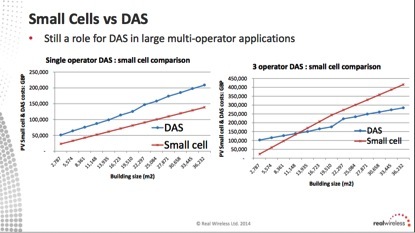 Small cells vs DAS has been a topic of discussion for a long time. 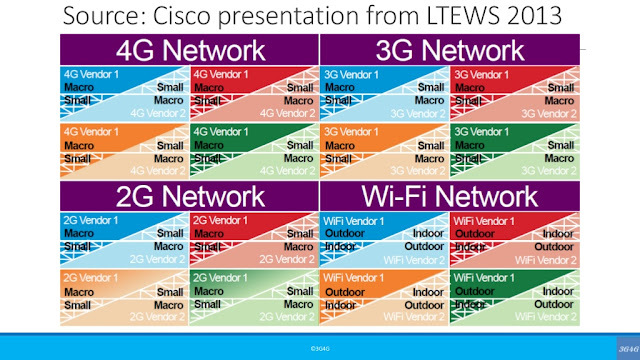 ThinkSmallCell covered this topic back in 2014. I don't think things have changed much. Recently I came across ClearSky and Opencell. They both have a slightly different approach to providing in-building coverage solutions. 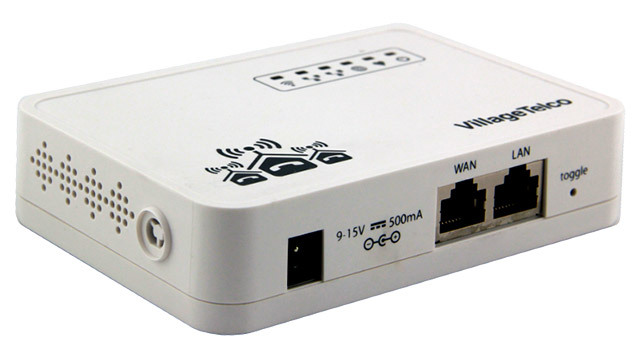 Instead of focusing on having neutral host small cells with MOCN or other network sharing approach, they act as neutral host providers responsible for integrating small cells from multiple operators within the building. It can be 75% cheaper to install enterprise small cells from multiple operators rather than install DAS. Again, I am sure there is a point till which it would make sense to do this. After that, it would be cheaper to have a DAS solution. 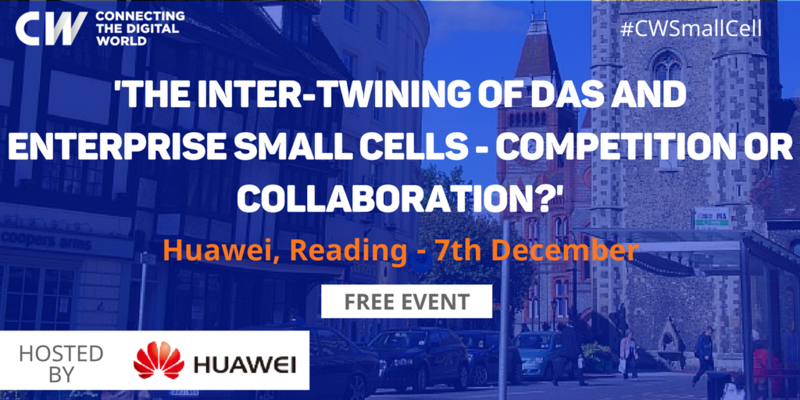 In couple of weeks, Cambridge Wireless is hosting a seminar on this topic, 'DAS and Enterprise Small Cells - Competition or Collaboration?'. I am hoping to hear more details about this. In the meantime, if you would like to explore more about this topic, see the links below. 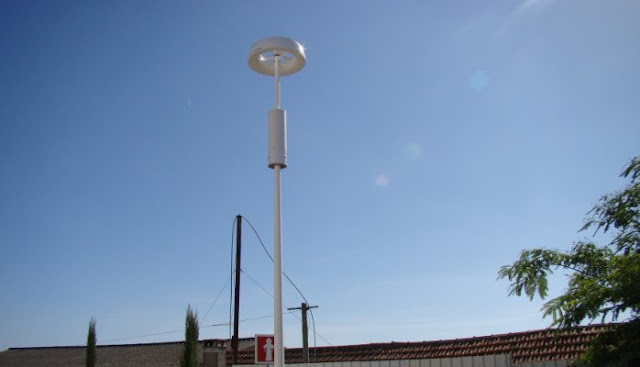 Vodafone Portugal, in partnership with Drivetel, Omniflow and Amop is deploying its own “streetlamp” to improve coverage and capacity in certain areas while at the same time making sure the antennas blend in with the surroundings. In Portugal Vodafone is committed on reducing visual impact on outdoor (rural and urban) coverage and made sure that the energy resource consumption is engage to a better and efficient way. Comba Telecom has played an important role together with Drivetel S.A to the construction of a clean and unique system with a camouflaged Tri-Sector antenna that supports LTE1800 and WCDMA coverage and fits just perfectly to the rest of the environment. 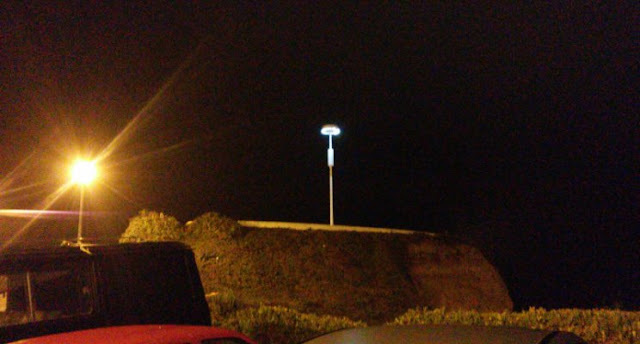 A smart street light 100% self-powered by Wind and Solar energy and supported by a local Portuguese Company called OmniFlow. It’s a completely integrated solution that blends into the most modern urban Smart Cities and to the wildest landscape. The generated energy with natural resources can contribuite to Vodafone's Pico/Micro/Small cell NB/eNB Base stations energy supply that is environmental friendly and contributes to the local population not only on mobile coverage and services but also served as public lights during the night. 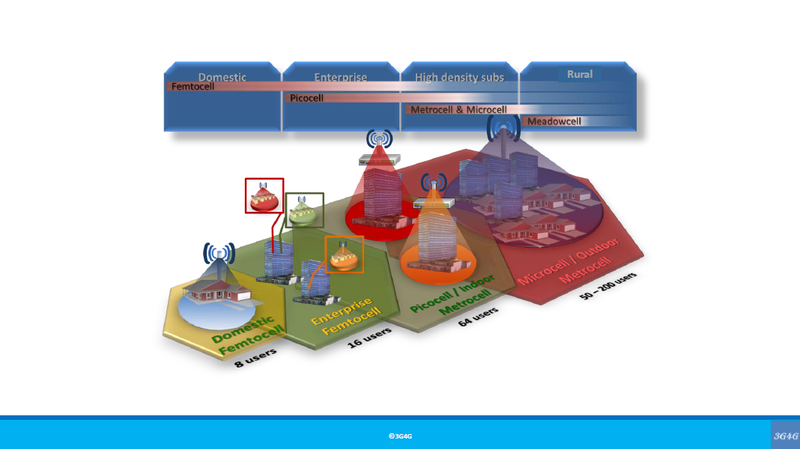 The infrastructure is all underground with only the antennas on the top. One of Portugal’s sea viewpoint – Santa Cruz beach, the local municipality together with Vodafone agreed on a efficient way to supply mobile radio coverage and capacity on Wi-Fi, 3G and 4G with an independent lighting system which produces enough electricity for the lighting system throughout the night by using natural resources (wind and sun), saving extra costs on the municipality, the tax payers will thank them in the long term. A local Portuguese company did the design of the base bench foundation in concrete that meets the concerns of vandal resistance, life cycle and with reserved space to add all the RF RRU's/BBU's inside a the cabinet and with a spot around the tower to sit and navigate on Vodafone’s high speed broadband. No more ugly towers with massive antennas, Comba's Camouflaged 3 Cluster antenna did just the trick to reduce that impact. 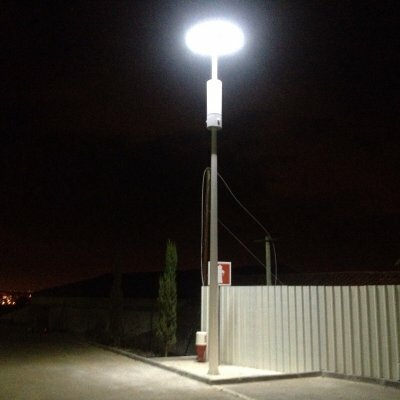 This new “streetlamp” reduces the time to setup the tower and offering radio service to Vodafone's customers in matter of hours knowing that everything is setup by Drivetel in advance before transporting the system to the field. Road Surveillance without grid power or network coverage?